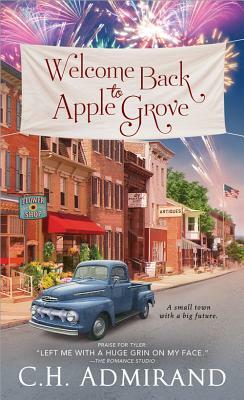 Grace Mulcahy thought she'd finally gotten Apple Grove, Ohio, out of her system. Then she's lured back for a family barbecue and spies a broad-shouldered hottie hanging out at the grill. He somehow seems utterly at ease, whether flipping burgers or horsing around with her hellion nephews. Why didn't her brother-in-law tell her he had such gorgeous friends? Suddenly her mouth is watering for more than her best friend's famous pie. When firefighter Pat Garahan sees Grace, it's like a five-alarm bell goes off and he's the one ablaze. She says she wants to leave Apple Grove, but he will do whatever it takes to keep her around. The life of a firefighter isn't an easy one though, and he'll have to prove their immediate spark can have a lasting chance at love..